The Virginia Beach Volunteer Rescue Squad (Rescue-14) is located at the oceanfront in the city of Virginia Beach, Virginia. We are one of ten all-volunteer rescue squad stations in our city. Together with the other ten volunteer stations, we form "The Largest ALL-VOLUNTEER Rescue System in the nation". We have been an all-volunteer Rescue Squad since May 1952 and have grown with our city to provide free emergency medical care since then. Our members come from all walks of life and every corner of our region. Students, Attorneys, Hotel Clerks, Physicians, Moms/Dads, Nurses, Postal Workers, Engineers, Fire Fighters, Police Officers, Military Personnel and many others make up our diverse "family" of members. Each person volunteers according to his or her availability. We all, however, share a common bond…helping our neighbors and citizens when they need our assistance and our professional emergency medical services. Come Join Us! Our mission was not created by war, but it has been made more important and more difficult as a result of it. Our focus is on family and the special community that is the Navy Seal Foundation. Since our inception, the goal has been to provide educational and motivational support, promote health and welfare programs and perpetuate the history and heritage of U.S. Naval Commandos. Our Foundation is strong, our leadership is dedicated and our mission is noble. The Virginia Beach Lifeguard Association (501-C3 Non Profit) is a local chapter of the United States Lifesaving Association (USLA), the national organization of open water lifesavers committed to reducing drowning and preventing injury in the aquatic environment. 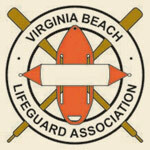 The VBLA is comprised mainly of current members and alumni of the Virginia Beach Lifesaving Service, and friends of the surf lifesaving community. Each summer the VBLA completes its mission of promoting beach safety through multiple avenues. The VBLA has provided free public safety presentations to elementary schools, military commands and fortune 500 companies. VBLA members volunteer to monitor open water events that raise thousands of dollars for charities. Finally, VBLA hosts and participates in local, regional and national competitions to motivate guards to train harder and better work together to protect the citizens and visitors to Virginia Beach.